Everyone hates ABO discrepancies! OK, I’ll admit there are a few people out there that carry some sort of odd immunohematological nerd mutation that think ABO discrepancies are cool, but most humans think they are annoying and confusing! Our topic today is one of those discrepancies about which I am often asked: The acquired B antigen and phenotype. FACT: There is a good chance you’ve never actually seen acquired B in real life (and never will). FACT: If you work in a laboratory, Murphy’s Law says you will come across your first ABO type discrepancy such as acquired B precisely three minutes before your shift ends or in the last seconds before it’s time for your lunch break. Thanks, Murphy. FACT: If you take any type of exam containing blood banking questions at any point in your life, you will be asked questions pertaining to acquired B. 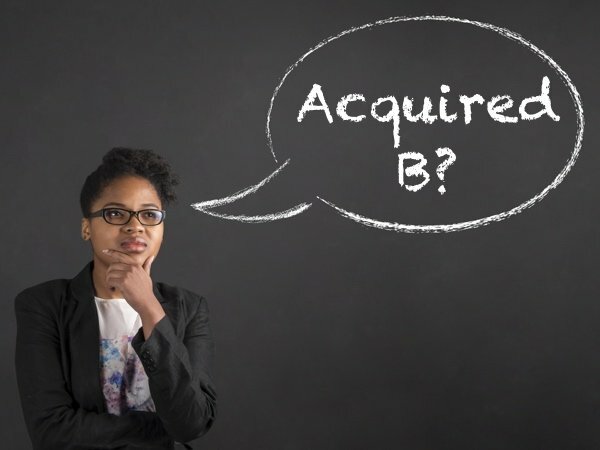 Acquired B is one of the more popular topics for those looking for weird things in the ABO system about which to write exam questions, and it has befuddled those learning immunohematology for decades. 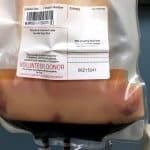 But it’s not just an “exam thing!” Blood banking professionals should understand acquired B clearly, because it can happen in everyday practice, and as we will see, it may be a clue that a patient has a big problem. So let’s do this! Routine ABO testing is performed in two distinct (but usually simultaneous) stages, known as “red cell grouping” (blood bankers more commonly call it “forward grouping” or the “front type”) and “serum grouping” (“reverse grouping” or the “back type”). In red cell grouping, not surprisingly, the laboratorian uses very powerful monoclonal reagent anti-A and anti-B to determine if either A or B antigens (or both) are present on the red cells of the person being tested. When performing serum grouping, on the other hand, the worker uses the patient’s serum (or plasma) and reacts it against laboratory cells of A1 and B types. Red cell grouping identifies which ABO antigens are present on the person’s red cells, while serum grouping identified which ABO antibodies the same person carries. Note that some facilities (and some geographic regions) add additional reagents, potentially to either red cell or serum grouping. Some test the red cells with anti-A1 or anti-A,B in addition to anti-A and -B, but generally, these reagents are not necessary for routine typing (they may be more useful with weak ABO antigen expression). In addition, some add testing of the serum against group O RBCs; again, this is generally not necessary for routine testing. Here’s an example of how it works: If a person’s red blood cells (RBCs) react strongly with reagent anti-A but not anti-B, we would interpret their red cell grouping as blood group A. That same person’s serum should have no reaction with reagent group A1 RBCs and strong reaction with reagent group B RBCs (demonstrating the expected presence of anti-B in the serum). Thus, the serum grouping interpretation would also be blood group A. If the interpretations match, we all can say “yay!” and move along with our day (see this illustrated in the figure below). If the red cell and serum grouping interpretations do not match, however, we have (cue the scary music) an ABO discrepancy! 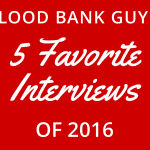 Those learning about blood banking really struggle with ABO discrepancies, and I will cover them more thoroughly in a future presentation. For now, let’s just say that ABO discrepancies take on many forms, and acquired B is a great, if not terribly common, example. The ABO sugars for group A and group B are not really all that different. 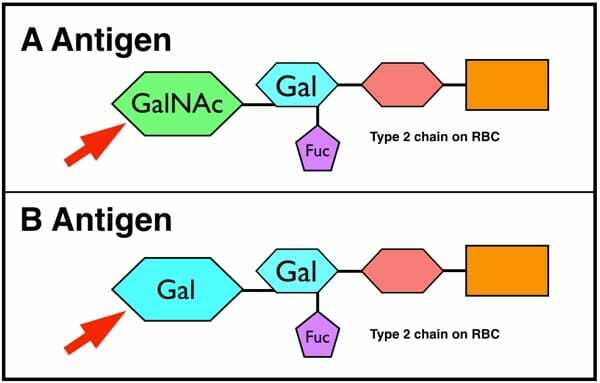 They are built on the same long sugar and protein (“glycoprotein”) “type 2 chains” on the red cell surface, and the only difference between them is the very last sugar that is attached to the long chain. This sugar, known as the “immunodominant sugar,” is N-acetylgalactosamine (Gal-NAc) for group A, and galactose (Gal) for group B (see image below). Just one little sugar makes all the difference. I probably don’t have to tell you much about ABO antibodies. Most of us learned somewhere in high school biology class that people generally carry ABO antibodies opposite of the antigens they express on their red cells. For example, a group A person has antibodies against the B antigen, and vice versa. Group O individuals have BOTH anti-A and anti-B, and group ABs have NEITHER anti-A nor anti-B. Simple, right? It is simple, I agree. Except when it’s not. Something goes terribly wrong, for example, in the acquired B phenotype. Usually, acquired B occurs when the RBCs from a blood group A patient come in contact with bacterial enzymes known as “deacetylases” carried by bacteria that live in the colon (typically gram-negative rods). No, this is not a normal state of affairs, and before I get into the mechanics of what this type of exposure can mean for an individual’s RBC forward typing results, let me point out that this is one of my favorite examples of how lab folk and clinical folk can help each other. The interaction of bacterial enzymes and red cells most commonly occurs when the patient has something significant (and BAD!) happening in his or her lower GI tract, such as colorectal cancer or a colonic obstruction, or in the face of developing or established gram-negative sepsis. It is possible that the discovery of acquired B may be the first indication that a patient has a serious issue (such as colon cancer that is not yet evident). 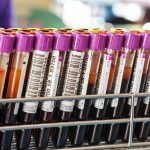 Blood type testing can be an important window into a patient’s overall health, and can give information to a clinician indicating serious medical issues. Now, back to what these bacterial enzymes do to an individual’s blood type. 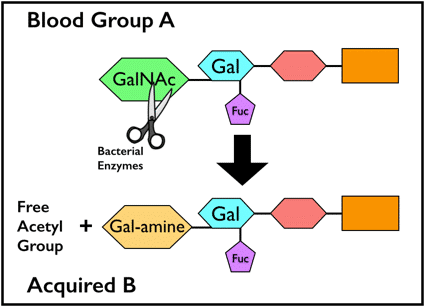 Activity of these enzymes results in removal of the acetyl group from the residue that gives the A antigen its specificity, N-acetylgalactosamine (GalNAc). This modification leaves the A-specific sugar as galactosamine (N-acetylgalactosamine with the acetyl group removed = galactosamine). Recall that normally, the group B-specific sugar is galactose. As a result of this modification, certain monoclonal anti-B reagents used for ABO red cell grouping will weakly agglutinate the group A RBCs carrying the acquired B antigen. This means that the patient’s RBCs may have a weakly positive reaction with anti-B in red cell grouping tests instead of the expected negative (see image below). The serum grouping for these patients, on the other hand, is exactly what you would expect for a group A individual (negative with group A1 reagent RBCs, strongly positive with group B RBCs). Note the “extra” reaction in the red cell grouping. This is an ABO discrepancy. It is important to recognize, however, that this “acquired B” is NOT a real-live B! Galactosamine is not the same as galactose, and while some monoclonal anti-B reagents will recognize it as such, the patient’s own strong, healthy anti-B just turns up its nose at the acquired B! Obviously, if the enzyme modification led to formation of actual B antigen, the patient’s own anti-B would cause hemolysis in a big, ugly way, and we don’t see that at all. So, what does this actually mean? 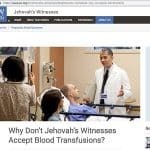 How do these patients actually get transfused? 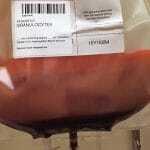 This is where the recognition of the entity in a transfusion service or reference laboratory is essential. Several simple strategies can be employed to prove that this patient is really NOT group AB. It’s important to note, the acquired B phenotype is a transient condition. Over time, when the root cause of the bacterial enzyme removal of the acetyl group is resolved, a patient’s blood type will no longer show an acquired B antigen. 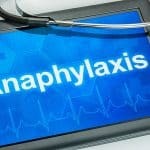 First, I always advise people to check the patient’s diagnostic history! As mentioned above, the rare cases of acquired B that are still seen will usually be associated with colorectal malignancy, gastrointestinal obstruction, or gram-negative sepsis (where those bacteria can contact the RBCs). Second, adding the patient’s own serum to his RBCs (autoincubation) reveals no incompatibility. In other words, this patient’s own very strong anti-B does not recognize the acquired B antigen (which is really just a partially modified group A antigen) as being an actual group B antigen. We already know that this patient has anti-B in his serum from his serum grouping results (see above), but the patient’s own anti-B completely ignores the acquired B antigen on his RBCs (even though human anti-B from other people will react). This is an important distinction between an ABO discrepancy caused by acquired B and one caused by a cold-reacting autoagglutinin, which we will discuss more in a future presentation about ABO discrepancies. Third, the technologist can use a different form of monoclonal anti-B in the patient’s red cell grouping test. Certain clones are known to react with acquired B, while others are not (normally specified in the package insert), and choosing a different clone (often easier in reference lab settings than in hospital settings where only one anti-B type is stocked) will render the forward grouping consistent with that of a group A person. Some countries (the United Kingdom, for example) have specified that monoclonal anti-B that recognizes acquired B RBCs should not be used at all! In addition, incubating the acquired B RBCs with acetic anhydride will lead to “re-acetylation” of the modified A antigen and loss of the B-like activity. Finally, acidifying the reaction mixture of the patient’s RBCs with human anti-B (non-self) can eliminate the incompatibility with that source of anti-B. In the end, acquired B is a serologic problem that is fairly easy to recognize, especially on examinations. 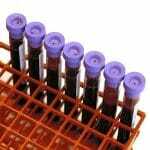 In real life, experienced blood bankers can diagnose and confirm Acquired B fairly easily. 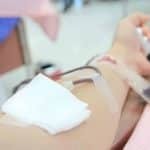 These patients can receive group A blood without a problem, and the ABO discrepancy will disappear as the infection or other situation causing causing contact with bacterial enzymes clears. The acquired B phenomenon is an interesting one, as it is an insightful indicator linking lab serology with clinical diagnosis. 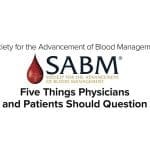 And yet, whether you agree it’s “interesting” or not is irrelevant because it is simply one of those blood bank occurrences you will need to know for any blood banking exam you take. I always tell those preparing for exams that when they see a question that starts with words like, “A 73 year old male with colon cancer…,” they should immediately check the answer for acquired B! If you’ve seen an interesting case of acquired B in your patient care experience or laboratory practice, or have additional insight to share on this strange little beastie, I’d love to read your comment below. For additional information, or to see this situation illustrated, you can check out the video I made on Acquired B in 2014. Future posts will cover another “weird” ABO-related issue, the Bombay Phenotype, and I plan to do a presentation on ABO discrepancies in general eventually (perhaps when I acquire that “nerd” mutation I mentioned at the beginning!). What substances will be detected in his secretions? For someone with acquired B (remember, that person is actually group A), the secretions will be what you would normally expect for a group A person. That is, 80% will express both H and A antigens, while 20% will express neither in the secretions. 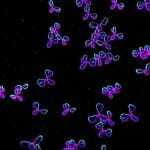 This is not a genetic change, but a mechanical modification of antigens in the blood coming in contact with bacterial enzymes, so the secretions are unaffected.